Sales is changing. It isn’t how it used to be. The fundamentals of good selling remain, but the challenges are different. And when different challenges are thrown your way, you require alternative solutions. You can’t do it the way you always did it, hence our quick guide to digital sales artificial intelligence. All media owners are now found battling against the polarised requirements of hitting ambitious YoY revenue targets and doing so with a reduced headcount in the sales team. There’s also the need to provide market-leading digital products to clients, advertisers and media agencies. With the increased focus on digital, it’s only logical that the solution comes in the form of digital technology too. And that really means one thing; AI. AI is a buzzword that’s been around for a while now, with every sales solution offering it in some way, shape or form. But when does a buzzword really move from aspirational to practical? When it can solve the exact challenges you face. And that’s what we’ll be guiding you through here. OK, so we know what’s keeping you awake at night, let’s begin to focus on how this can be solved through digital technology and AI. The first stage is to strip back the buzz and define exactly what we’re talking about. 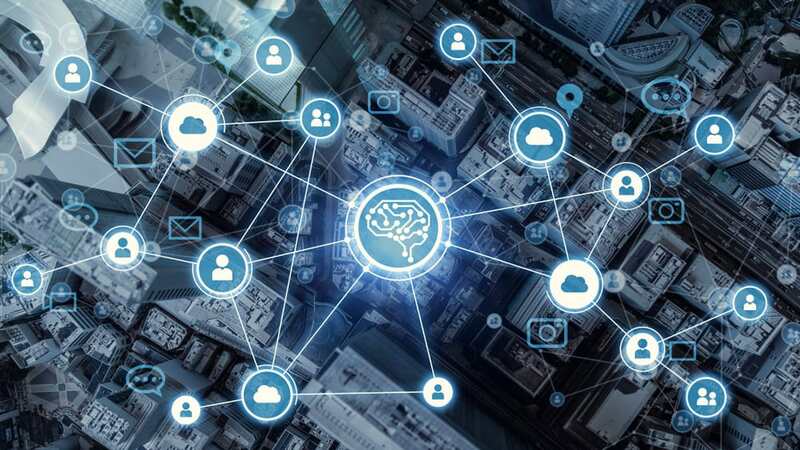 AI relies on a connected system to capture data about your customers and their activities, as well as your sales strategy. Machine learning is a process whereby the system learns for itself providing you with outcomes based on the data churning through the system. Think of the old garbage in garbage out adage. This is the complete opposite. Instead of relying on traditional sales tactics that are time consuming, wasteful, fraught with low conversion rates, and difficult to track and analyse, you can use this connected system to communicate with your prospects. There won’t be loads of emails going backward and forwards or phone calls made from desk phones, or even tonnes of presentations to clients early on in the sales cycle. Once the system has been implemented the data from it can be pulled to understand customer characteristics and behaviours. These should then, in turn, be analysed and utilised to inform your ongoing sales strategy. That’s an informed sales process. And once you put automation into the mix, you can really begin to streamline things and ensure your team is more efficient, productive and focusing their energies in exactly the right place every time. Think of AI and automation as an essential helper that guides you and your team through your challenges, gives good advice, and handles the admin tasks so your salespeople can go out and sell more. But it’s not all about you, your team and your sales process. The needs of the customer must be paramount. Always remember when you automate it should be done to better serve the demands of your customers, rather than simply to avoid them. What do your customers need? They need to best understand how they can get the most value from their ad spend. They also need to understand how and where their ads will be placed, how the creative will look and how they will be presented to the end customer? Visualisation is key to final sign off. As is the time and flexibility to make informed decisions outside a pressurised sales environment. For you and your sales team, you need to be able to provide this to your customers, track key data on their behaviour and know when to engage with them at just the right time. By tracking data you will begin to understand information such as prospect take up time and retention. Specifically you will know the key peaks of your prospects’ businesses and when to serve a hot prospect with creative. This can even begin to help support the growth of your client’s business. Our Sales Automation Engine (SAE) makes the sales process faster, easier and smarter, as well as providing an opportunity to start capturing the required data on your prospects to start your AI journey. It also helps you sell more ads. Here’s how you can automate your sales process. Simply provide us with your prospects. An on-brand ad will be automatically tailored for each of your targets. Ads can be created in minutes to illustrate to prospective clients how their ads would look when they are live on one of your websites. Everything will be tailored to that specific prospect. There’s no one-size-fits all here. The prospect will receive a link to view the ad running in-context, providing them with the key information of exactly how it would look live on one of your publications. Crucially when viewed, this alerts your sales agent, so they can contact the advertiser exactly when they’re looking at their ads. They are engaged and have a direct interest in the specific product. They want to talk. The prospect can even request a call-back directly from the assigned salesperson – meaning that when your team speaks to them it’s on their terms and when they want to discuss their options. It’s the antithesis of cold calling. We also record other metrics, which allows your prospects to be ranked and prioritised, making it easier for sales teams to close with the most engaged accounts quickly – that’s the part about collecting data to inform your ongoing sales strategy. Additionally, the platform uses machine learning algorithms to recommend the best products and packages to position to your prospects in order to always close the highest order value. Once the client signs off and you close the deal, most-importantly the content is instantly ready to go, which drastically reduces the go-live time for signed off deals. Remember the part about automating your operation to better serve your customers, not avoid them? By automating your sales process in this manner, you give them the time and flexibility to visualise how it will work for them and make key decisions internally. And the benefit for you and your team? Your sales team won’t waste time chasing down dead leads, they know exactly when to call and when they have the opportunity to converse with an engaged customer. They’ll have key data on that prospect’s behaviour and know the right offering to engage them at the right time. You can run a streamlined, efficient, productive and high-converting sales engine. Now that’s how a buzzword can move from aspirational to practical. Want to learn more about Sales Automation Engines? Watch our webinar video here.